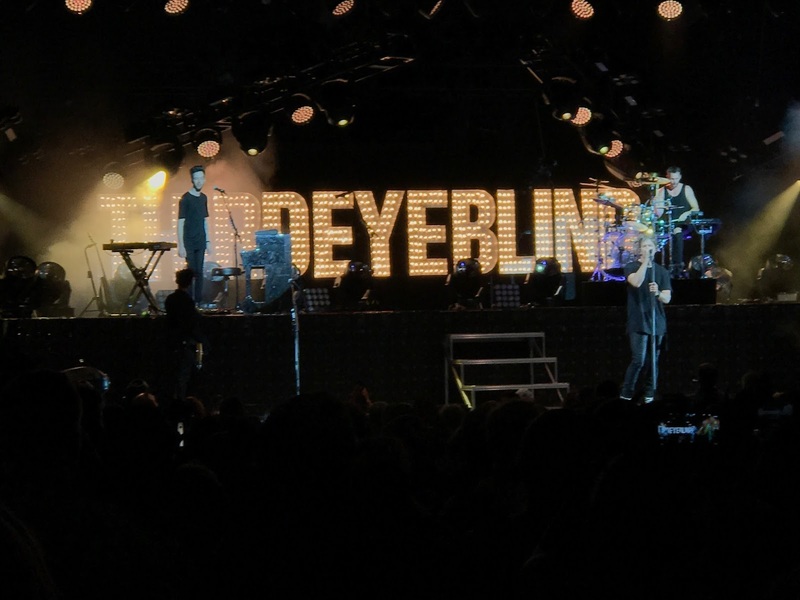 It was a hot and sultry Sunday night in Baltimore when Third Eye Blind played at the Pier Six Pavilion. 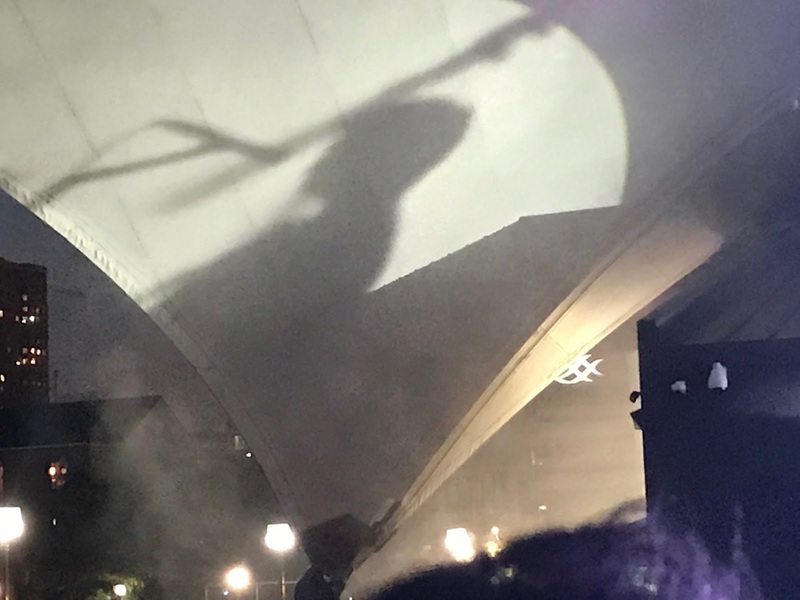 It was my first concert at the Pier Six pavilion and I really did not know what to expect. The venue is covered open air and the sights of the city mix with the atmosphere in the concert area to create a unique environment for the show. Third Eye Blind presented an energetic and musical show. The highlight was celebrating the 20th anniversary of their first album which was played complete and in order, except for the last song, God of Wine which was the appropriate closer for the show. Full disclosure, I like Third Eye Blind but I do not have all of the music memorized, but the music I have memorized is almost entirely from the first album. The band came on stage just after 9 PM and played a 30 minute opening set of newer music before transitioning to the first album. The setlist from the show shows that 21 songs were played. The set for the show was stimulating and bright. 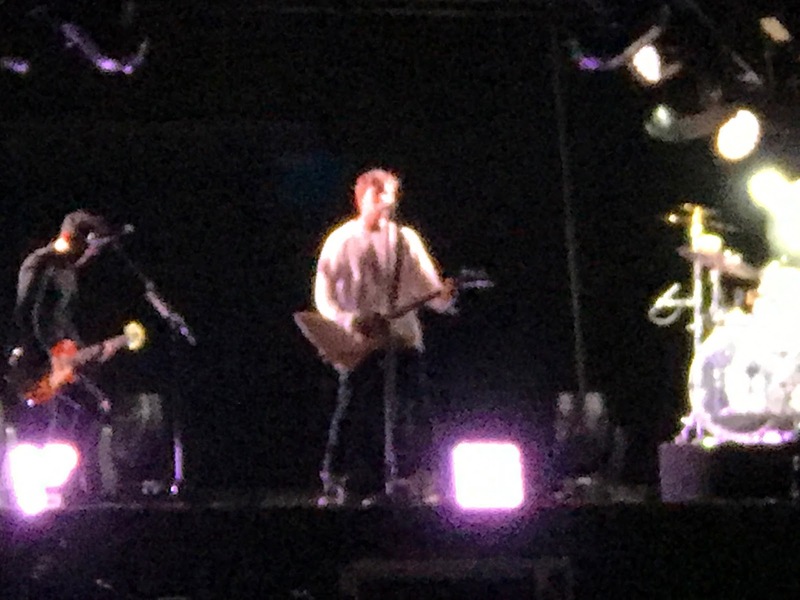 Working without the massive big screens of many entertainers, the show was reminiscent of a classic rock concert of two decades ago. I liked a comment that Stephan Jenkins made about being a real rock band with no added backtracks or synthesizers. The crowd was nothing short of adoring and clearly knew all of the words to all of the songs. The band was awesome and the drummer, Brad Hargreaves, of course, stole the show during a couple of sequences which highlighted his abilities. This was a great show for a great classically organized rock band. The energy was infectious and most of the crowd did not sit down for the entire show. There were no "slow" songs and only a couple "slower" pieces. It should be noted that this is an adult band and the lyrics deal with topics that are not suitable for the younger generation. Great show, high energy and exceptionally performed music!